The words “strength of character” are the very pillar that binds the Steve Waugh Foundation. These very words best exemplify the attitude to life shown by each and every one of the children we support. This is the cornerstone of what we stand for, and dictates the choices we make as an organisation. From the outset the idea and motivation of The Captain’s Ride has been clear - to raise significant funds for the Foundation, increase awareness about rare diseases and the bravery of the kids who live with them, and in some way replicated the challenges that our kids and families go through each and every day. These key motivators have driven every aspect of The Captain’s Ride. The Captain’s Ride is the cornerstone of the Steve Waugh Foundation’s annual fundraising campaign - an exclusive ‘by invitation’ 6-day on-road cycle event inaugurated in the 10th Year Anniversary of the Foundation 2015. One of the key objectives of the ride is to foster a sense of camaraderie and teamwork amongst the riders, provide a challenge that tests riders both mentally and physically and to create an experience that provides lifelong memories. 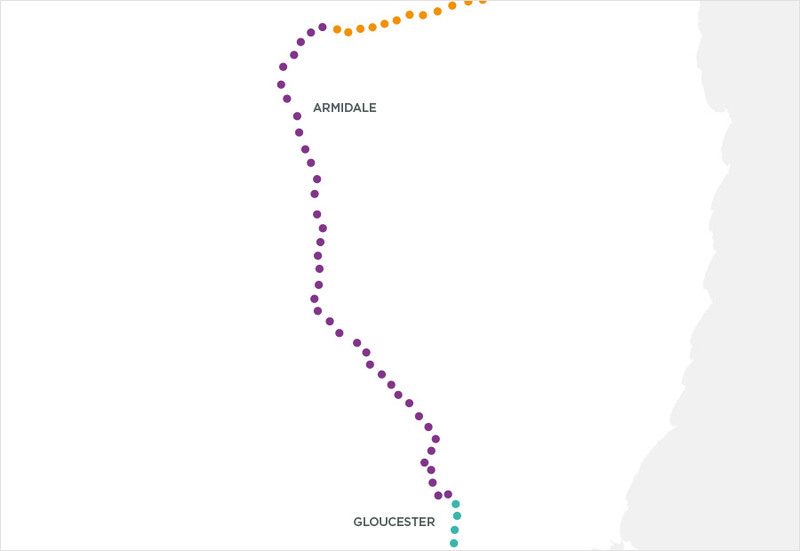 The significant and symbolic route is mapped out specially to meet the objectives of a life changing experience and major fundraising campaign for the Foundation. This ride is about 'strength of character'. It's at the core of what the Steve Waugh Foundation do, from the people we support to the people who support us. The Captain’s Ride 2016 will commence on the 29th October in Bowral, concluding 6 days later 3rd November in Mt KosciuskoPark, 701 kilometres and a total climb of 10,500 metres. Through approved application and personal invitation, a select group to a maximum of 70 riders take on the enormous challenge of The Captain’s Ride. Steve Waugh shares stories of the Foundation and the children it supports, and specially invited VIP’s, champions and celebrity guests share their personal experiences which provides the leadership experience and motivation riders need to make the distance each day. Safety, Fitness & Fundraising are mandatory criteria to take on The Captain’s Ride challenge and have your application accepted. Do you have a road worthy bike? Can you commit to training? Can you meet the fundraising target? Learning from our first ride, a criteria to ensure the safety and wellbeing of riders, as well as meeting fundraising targets has been put in place for applications to be accepted to join this year’s ride. First and foremost The Captain’s Ride is a true test of character, one that is well worth the experience – the welfare of all participants is vital. Mandatory criteria, rider fitness requirements and full terms & conditions are outlined in our Online Application Form. Review all terms and conditions. Applications close 30 June 2016. 400,000 Australian children, 6,000 – 8,000 rare diseases - with ‘strength of character’we ride for them. Together we will put ‘RARE DISEASES ON THE MAP’. 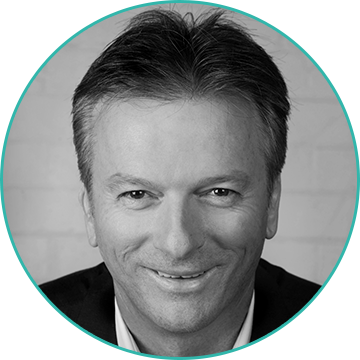 Our target is to raise significant funds for the Steve Waugh Foundationto champion the stories of and provide life changing support to children and young adults affected by a rare diseases. 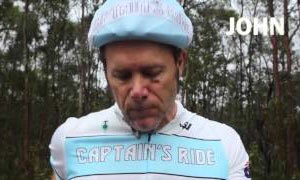 The Captains’ Ride is the Steve Waugh Foundation’s major fundraising campaign for the year. Putting in an application to ride. Make a donation to someone riding to help them meet their fundraising target. Make a donation to the Foundation through our website to show your support. Promote and share the story of the Steve Waugh Foundation and The Captain’s Ride through your social media and networks- ‘help us put rare diseases on the map’. Contact the Foundation if you’re interested in being a sponsor, partner of supplier of the Foundation or The Captain’s Ride. 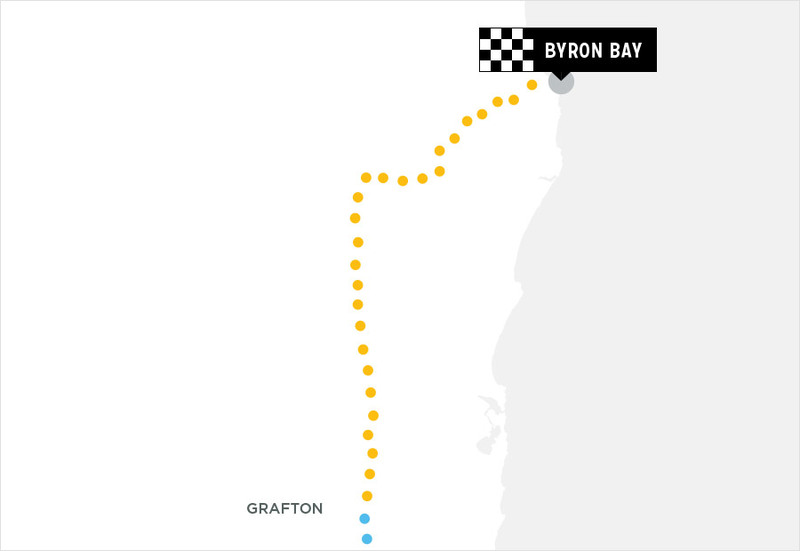 If you’re in the area of the ride route, and are a school, club, someone from the local community, come out and meet Steve Waugh and the Team at a stop point, or wave and cheer us from the roadside as the Team ride by! 8,000 known rare diseases. 400,000 Aussie kids aren’t getting the support they need. No one should have to stand alone. Everyone needs a team to support them. 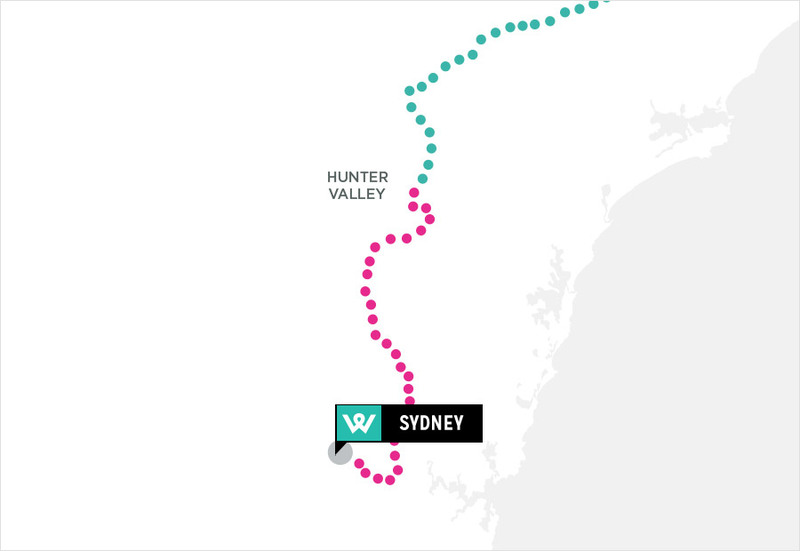 Over 6 days we cycle 700km and over 10,000 vertical metres from Bowral to Mount Kosciusko. 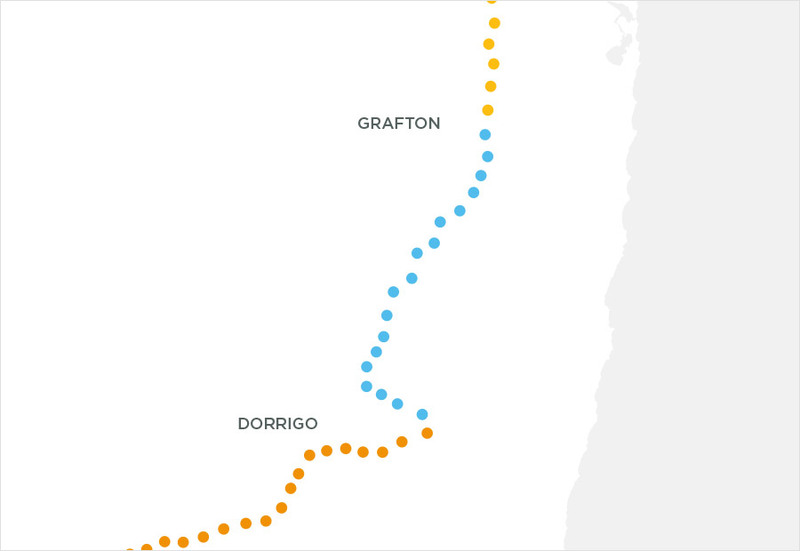 Every stage from Bowral to Mount Kosciusko puts another rare disease on the map. Every Tweet, reTweet, share and like helps us raise awareness, so get clicking. Change makes change. 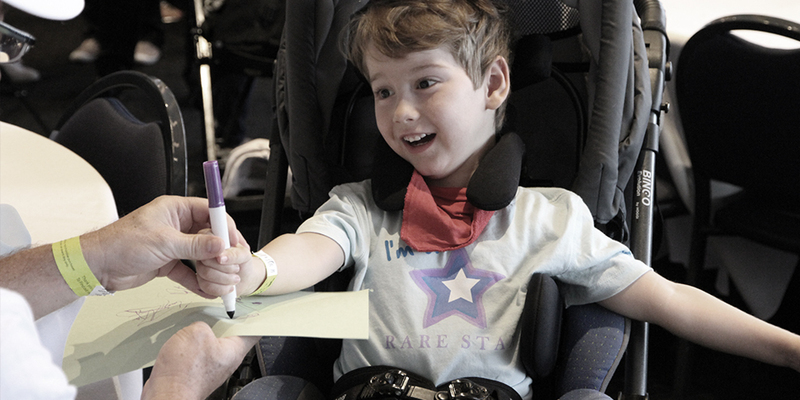 Every dollar you donate goes to helping and supporting those affected by rare diseases. Geleophysic Dysplasia is just one of many rare diseases we ride for on day one. All my life people have come up to me and treat me like a baby or say ‘how old are you?’ and then surprised by how old I actually am! Some people don't even believe me! Being small for my age has made my life very hard. Geleophysic Dysplasia is a rare form of dwarfism that can affect many parts of the body, causing bones to stop growing. Short in stature, Renee is 83cm at 23 yrs of age. This condition affects the heart, lungs and bone movement. Renee has had two open heart operations to replace heart valves, requires oxygen 24/7, and sleeps with a bi Papp machine. She has blood tests every two weeks to make sure everything is stable. When I was asked to be an official Ambassador for the Foundation I was speechless! It was a huge honour! I’ve always wanted to help other people with rare diseases because I know what they go through and how much help we all need. It puts a huge smile on my face when I see people putting up their hand to contribute in any way they can. I love being ambassador I feel this is something little I can give back. The Foundation has supported Renee since 2007 providing portable oxygen tanks every month, a lounge sofa bed to specifically accommodate her Bipap machine, and top up funding for a modified bathroom, so she can reach the taps and shower for herself! X-Linked Chronic Intestinal Pseudo Obstruction XCIPO is just one of many rare diseases we ride for on day two. Hi, My name is Jordan, I’m 6 years old. Hi, My name is Logan, I’m 3 years old. We both love colouring in, riding scooters and playing with toy cars and trucks. One of our most favourite things is playtime with Pop and our brother Dylan - yes it’s an exclusive boys club! 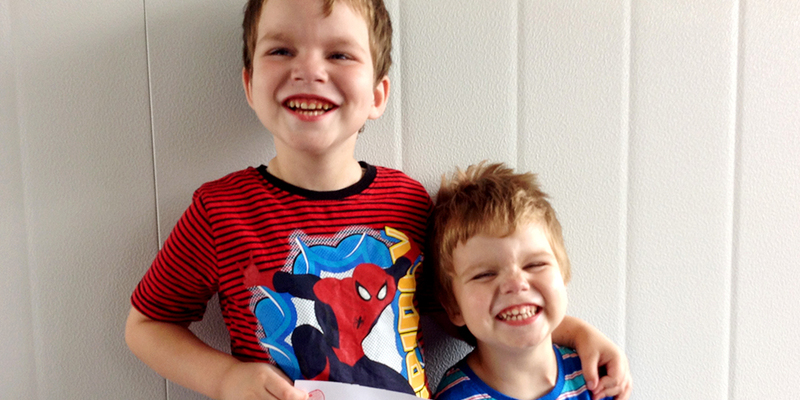 Jordan & Logan live with a rare disease called X-Linked Chronic Intestinal Pseudo Obstruction XCIPO. 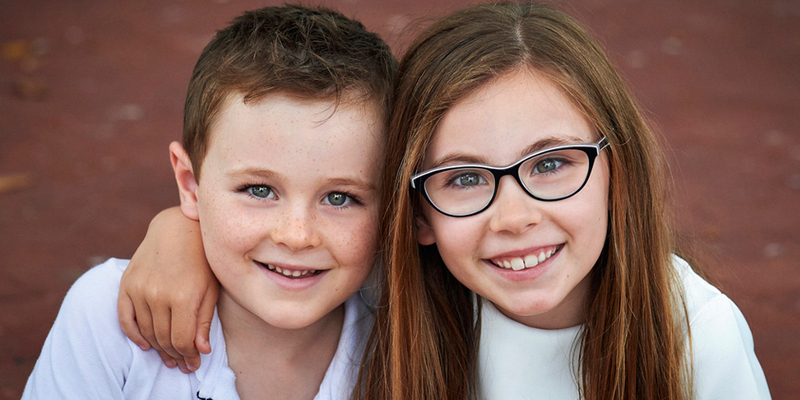 They are 2 of only 3 children in the world with this rare disease. A defect in the Filamin A gene, it causes problems with the gastro intestinal tract’s ability to absorb enough food in order to survive, reliance on Parenteral Nutrition, a sterile solution containing all the nutrients required to thrive introduced through veins. The Foundation are wonderful, providing support for children with rare diseases when no other avenues of support are available, they make you feel like part of an extended family, change people’s lives and their organised events certainly put smiles on little faces The generosity of Foundation supporters has made a significant change for Jordan and Logan’s lives, for this we are eternally grateful. The Foundation has supported Jordan and Logan multiple times providing air conditioning and medications. Acute Disseminating (or demyelinating) Encephalomyelitis is just one of many rare diseases we ride for on day three. I love to watch all sports, but I really, really love WWE wrestling. I’ve bowled out Steve Waugh for a duck, when we played cricket at my house! Acute Disseminating (or demyelinating) Encephalomyelitis is a rare autoimmune disease that attacks the brain, often triggered after a viral infection or vaccination. Symptoms include stiffness, shortening and fluctuating muscle tone which causes involuntary movement difficult to control. Combination of spasticity and dystonia in both upper and lower limbs. Liam's intellect is intact. Then there is the care factor and network of support that is also provided by the Foundation. We have met so many lovely families, each with their own story to tell; and the volunteers and staff that assist the Foundation. It’s like an extended family. I love going to the events and catching up with the other families…it’s nice to know you’re not alone. The Foundation has supported Liam multiple times providing a Dynavox V Communications Device and Levo C3 stand up wheelchair. Congenital Disorder of Glycosylation Type 1a (CDG1a) is just one of many rare diseases we ride for on day three. I love swimming, playing with my friends, going to the beach and the park, and playing board games – but only when I win! Congenital Disorder of Glycosylation Type 1a (CDG1a) is a rare metabolic condition that causes severe global developmental delays and severe expressive language impairment. Additional symptoms include; hypoglycaemia, seizures, cerebellar hypoplaysia, and intellectual disability. Patients in later childhood or adulthood can experience stroke-like episodes, and blood clotting abnormalities. Most people – including doctors – have never heard of CDG. We were initially led to believe that Holly would never walk or talk, read or write. When we first made contact with the Foundation it felt like a weight being lifted off our shoulders. Finally this was where we ‘belonged’. The Foundation has supported Holly multiple times since 2010, providing an iPad, communication programs, ongoing speech therapy and most recently a manual wheelchair. Pelizeaus-Merzbacher Disease is just one of many rare diseases we ride for on day five. I love playing on my swing with dad to see how high he can go (too high is when you hear the feet touch the roof of the porch)! Pelizeaus-Merzbacher Disease (PMD) - lack of Myelin insulation around the nerves cause’s messages from the brain to various parts of the body to either not be received or only partially received. Severe hypotonia with no neck control, visual impairment, severe development delay. Mark also has Cortical Vision Impairment (CVI) and is non Verbal. There is nothing better than being in the next room listening to Mark laughing knowing he’s now secure and safe. Everyone who’s part of the Foundation makes you feel very welcome. They have a real concern for the welfare of people with rare diseases and their families. 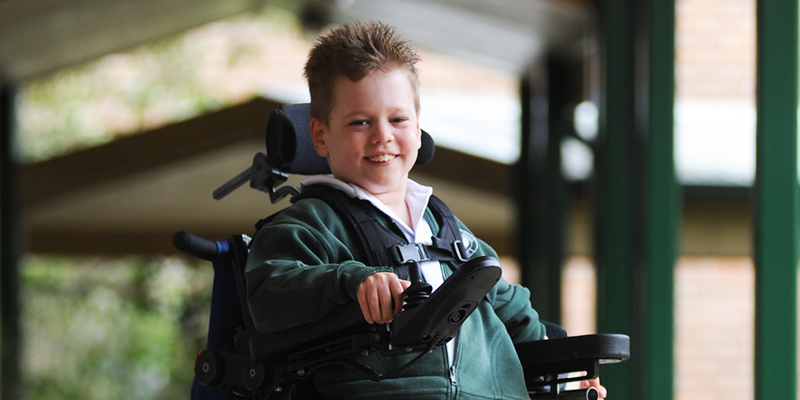 The Foundation supported Mark in 2012 providing top up funding for a Jenx Chair, Shoulder Supports for the Jenx Chair, a Mulholland Rocket Stander and specialised computer software. Arts Syndrome is just one of many rare diseases we ride for on day six. I loved roast dinners, chicken and chips and strawberry milkshakes, all music, watching Peppa Pig, and had to watch the weather report EVERY night! I loved fish and chips with salad and chocolate milkshakes, watching TV especially Thomas the Tank Engine, and playing with my race cars and remote control trucks. Arts Syndrome is a rare genetic disorder that causes deafness from birth, progressive muscle weakness, visual impairment, learning difficulties and the loss of reflexes. The disease is fatal during childhood (the majority die before 5 years of age) due to high levels of infections, especially of the upper respiratory tract. 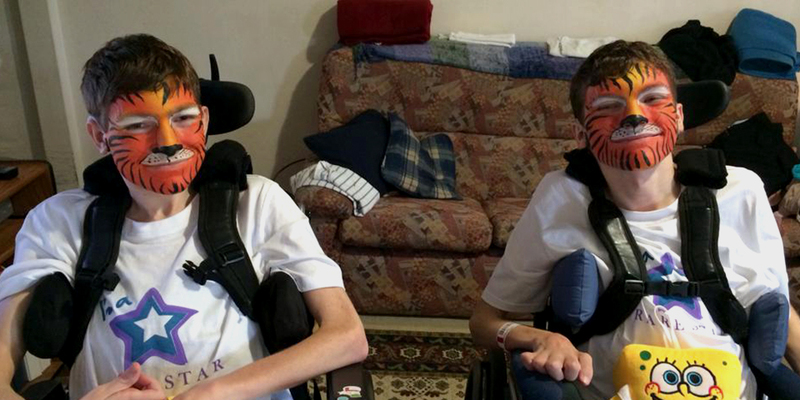 Bradley (dec 29 June 2015) and Thomas (dec 27 June 2015) surpassed all medical predications and expectations, in no small part to the extraordinary care and love from their family, their resilience and incredible ‘strength of characters’. They were a big part of our Foundation family regularly attending events and helping us raise awareness through the media and promotion by sharing their story – which we will continue to do. Their positivity was captivating and it was impossible to be unhappy when you were with the boys. I’m going to miss the sound of their laughs. I’m so proud of the all the amazing achievements the boys made and they were constantly reminding us not to underestimate them. The Foundation has supported Bradley and Thomas multiple times providing a modified vehicle and top up funding for a bathroom modification.